Karin StGeorge is at a loss for words as she walks through what used to be her living room and kitchen after an intense fire. StGeorge used to live in a Port Charlotte home with her husband who passed away seven months ago. But, now some of his possessions and pictures are gone with everything else. “I don’t know what to say,” StGeorge said. 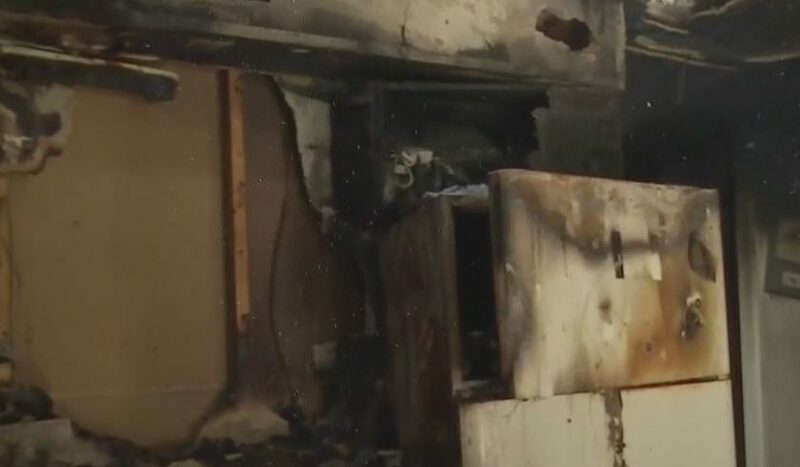 A portion of the kitchen following the flames. Photo via WINK News. StGeorge was not home at the time of the fire. Instead, three of her friend’s family members were staying there for a wedding later this week. Fire crews said the blaze started at the stove. Adjacent is a freezer wholly melted on the inside and a kitchen in tatters from the intense heat of the fire. Michael Clements, the battalion chief, said two women were still inside when he arrived at the burning home. Clements carried one woman out from the home while fire crews rescued the other woman from the front bedroom.